Another Kind Of Courage– A Book Every Father Needs In A Family With A Disability! When disability hits the home, men often swirl out of control. More used to doing things where problems get solved and success is measurable, a disability’s sudden arrival in either wife or children means he doesn’t know the way forward. Some men run like the worst sort of coward, but others stay enough though they nearly fall apart. Is there help, guidance, encouragement to make that way forward? 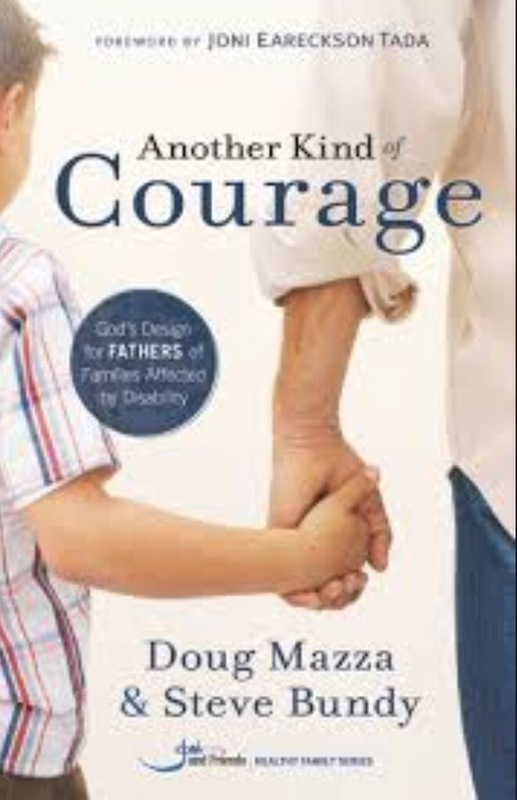 I suggest you grab Another Kind Of Courage by Doug Mazza and Steve Bundy. These two authors are executives with the Joni & Friends organization. More importantly, they were waylaid in life by a child’s disability. They are amazingly transparent, and in admitting their struggles, they lay bare the ones we may face. In the first several chapters they share how the Lord helped each of them to come to terms with the major change and to step up as the men intended them to be in the unsolvable crisis. They give helpful thoughts on the inevitable marriage issues that will arise as well as how to handle balance in work and home. I have never seen a better book to address these issues head on. As a man with a paraplegic wife, I personally recommend this fine book. Every family with a disability needs the father of the crew to read this book. To all my fellow pastors, please put this book in the hands your families that find themselves in the unexpected world of disability. It will counsel where you simply will not know how. Have you heard someone talk about how dearly they love souls and discuss their efforts to win folks? Well, that would have to be a good thing. Have you ever, though, thought that something was off? That the action, though intense, did not match a heart of love for the souls of others? It is possible in every corner of the Christian world that people may not be loved for themselves, or even really for Christ. It is within the Independent Baptist world, where some of the greatest soulwinning efforts have taken place, that I want to ask: win them…to what? While it is impossible to know someone’s heart, it is at least possible to discuss what makes someone feel used. If the Gospel is a gift, and it certainly is, then being used is the most unnatural thing to ever show up if we share it with someone else. Then why do we compete? Why, for example, as we have seen at times, would one bus route compete against another? Why would churches compete and the numbers reached get written up? Why would a soulwinner and his “string of fish” get publicized? And worst of all, why would the pastor with the most baptisms, or the biggest day, get fame in our papers? Some have argued that these contests have actually produced great results. But a deeper question demands to be asked: if fame on whatever level, from national down to church level, is a naturally intoxicating result, then what is the real value of a soul in our hearts? You say, well as long as they get saved what difference does it make. If they ever get to thinking that was your goal, and that they were a mere notch on your gun to bellow about on the street, it might make a great deal of difference. Their walk with God might be damaged along with all its residual blessings. Sometimes it gets worse. Pastors can lose sight of the goal, as well as mar the work of the ministry. If that glorious calling to the ministry degenerates into building a personal kingdom, then souls are little more than pawns in a twisted game. Some of the most hurt people, and a little put off with Christianity at that, come from the ranks of those who one day woke up and felt they were being used. Win them–seeing a soul saved is truly one of the greatest things in the world. Just be careful and ask…win them…to what? Did You See This Wonderful Blogpost On Husbands Earning Respect? Truth must be balanced or we start veering off into the ditch. Take, for example, husbands being the loving men that God intended. We need such help. I know that I have needed a good swift kick in the rear end on several occasions, and I am grateful for some good reading that administered the said kick! Even that wonderful truth, though, can be taken too far. I suppose the cultural tide that would wash manhood out to sea has come into Christian circles too. We overcompensate in fixing one problem just to create another. Who can you read? Who can you learn from? Have you ever had someone tell you who you may not read or learn from? Several groups within Christianity might have some strong suggestions, but as being an Independent Baptist myself, I have seen this attitude up close and personal. Some, as an imagined agent akin to the KGB, would like to scour your library for you. Some say you can’t read from this group or that. For example, I have heard some say you can’t read after a Calvinist. So a John Piper would be out of the question according to them. Although I am not a Calvinist myself, I have been incredibly enriched by several Calvinistic writings. Some go even farther and say you should only read after Baptists. Others narrow it even farther to only those they fully agree with among Baptists. I once read a man brag that he only had books by John R. Rice and Jack Hyles in his library. Are these constraints valid? First of all, it reminds me of a joke we used to tell in my college days at the University of Tennessee. Alabama was our most hated rival and we used to say “Did you hear about the fire in Alabama’s library last night? …yes, both books were lost.” Such pressure to not have unapproved authors makes for rather small libraries. It is not the size of our libraries, however, that is the problem. Rather it is the breadth of our knowledge. Back in those same college days I heard several PhD students talk about where they would like to teach. They told me that they could not get their degree where they actually wanted to teach. When I asked why they explained that that was considered academic inbreeding. Bringing in professors from various business schools gave a greater breadth and made for a better all-around business school. You can see the logic. You don’t want ideas to always come from the same small pool. Over time the good will be warped, the style be a caricature, and everyone will be a bizarre clone of each other. In such settings the abnormal becomes indistinguishable from the normal, and finally becomes the norm. That may describe the stranger anomalies in our Independent Baptist world better than anything else. Because reading opens up our minds to clearer thinking, it often leads to those abnormalities finally being seen as what they are and changes take place. Those still caught up in it see the changes as dangerous and ungodly and so criticize. This is how book banning is born. Isn’t it repulsive when you see Muslims, Communists, or Nazis practice it? I say it is just as bad when we do it. Every book must be weighed by the Bible. No thinking reader ever imagines that every line must be accepted as true, but it must be tested, sifted, and refined, the good extracted while the bad is tossed on the trash heap. 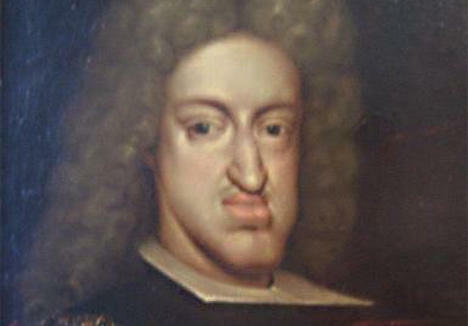 Academic inbreeding has as bad of deformed children as any other inbreeding, only the stakes are spiritual. 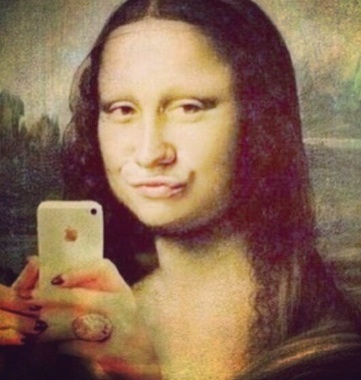 They are all the rage these days–selfies. You wonder if they are a passing fad or a new, permanent addition to our lives since social media is here to stay. Perhaps they fall somewhere between harmless and a little vain. I don’t care personally for a solo selfie, but it is not really for a spiritual reason. I just don’t see myself as very photogenic. (I want my wife or kids in mine to bring in some level of pictorial quality!) If we realized how people see these selfies on our Facebook news feed and think things like “He is putting on a little weight”, or “She is looking older”, etc., we would probably just dispense with them. Still, in the big picture of life, it is not that big a deal either way. But may I share where selfies are repulsive to the core? In the pulpit. There they are verbal selfies rather than visual, though the picture is quite vivid. They, too, have been coming at us well before social media came along. I realize these selfies can be found in pulpits all around Christianity, but my personal experience in the Independent Baptist world has allowed me to witness an excessive number of them. At times, it becomes vanity on steroids. Have you seen one of these pulpit selfies? You know, where we hear endless stories about the preacher’s life? Not regular stories where the preacher just saw something in his day-to-day living that well illustrated a biblical point, but a story where he is the hero. Such stories grow the legend, expand the franchise, and multiply the groupies. Instead of drawing the listener to Christ and His Word, such selfies tend to create a false dichotomy. It creates two categories–the super-spiritual giants and the regular Christians– where the speaker is in the first category and you are in the second. Besides the inherent insult in it, these categories don’t actually even exist! This is not to vilify every story a preacher might tell from his life. In truth, there are many stories that are neutral–the preacher just happened to be there, or perhaps, it was something funny his children said or did. Then the stories that he is more directly involved in, as life goes, are pretty much 50-50 on being the hero or the goat. Sometimes stories where we were more the goat put us with our listeners, where we should be, and the rawness really connects and teaches. The stories when the preacher made a good choice should be sparse at best. Why? We are not the hero, we are not the one who changes lives, our task is not mere inspiration. No, in actuality, it is the very antithesis of what preaching is. Preaching is meant to proclaim Someone. His stories are heroic, His words true and life changing. The mantra of the earliest preachers was “we preach Christ crucified…”(1 Cor. 1:23). Forgive the prooftexting, but that was all that was known in the heady days of the early church (Acts 3:20, 5:42, 8:5, 8:12, 9:20, 10:36, 17:3, and 28:31). Could the ministry have ever been expressed better than in Philippians 2:16, “Holding forth the word of life; that I may rejoice in the day of Christ, that I have not run in vain, neither laboured in vain”? Let’s look at those selfies a little more closely. Preacher, so you are the greatest soul winner we have ever known? Jesus saved them all! So you are the mightiest prayer warrior around, praying whole nights? Jesus prayed and fasted 40 days, later prayed till He sweat great drops of blood, and went from there to the cross! So you have suffered like no one else in the cause of Christ? Jesus suffered horrendously, even death, Hell, and the grave! So you have the best grasp of God’s Word? Jesus speaks and it is the Word of God! So you have had the most heroic and thrilling experiences? Jesus battled death and won, went into the grave and came back out on His Own, and that was after previously creating all that is! So you love me more than anyone loves me? Jesus loved me, pursued me, saved me, redeemed me, forgave me, rescued me, and keeps me day by day and forever! So I can count on you more than anyone else? 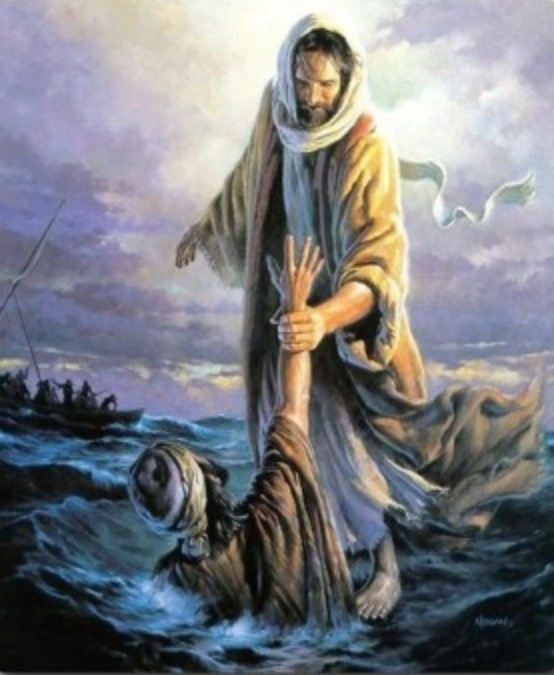 Jesus promised to never leave or forsake me, even after you are dead and gone! Selfies in the pulpit? You have got to be kidding! So when in the pulpit, just before you send out one of those irretrievable selfies, stop before you hit “post”. In preaching, keep selfies where they belong–inside yourself! Have you, as I have, been blessed by the classic Mere Christianity? Probably the greatest apologetic book I know of, and certainly grist for the mill for your deepest thoughts, the story of the series of events that precipitated this volume is fascinating. Can you imagine what this book proposal must have looked like laying on the publisher’s desk? 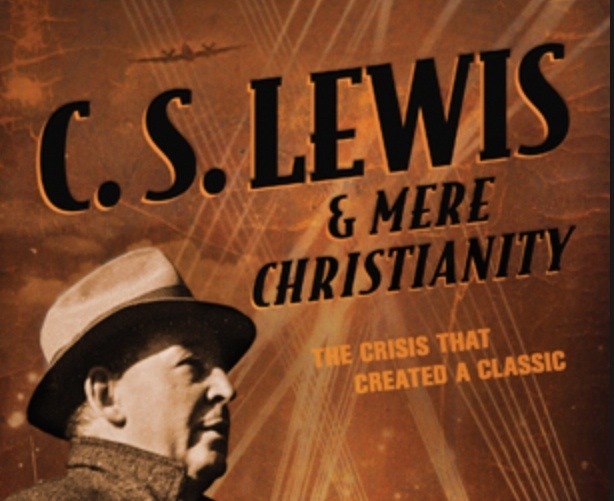 A book not about the whole of C. S. Lewis’s life, but just the the particular years when this classic was birthed, as well as the horrors of war in the blitz on London. The background of the BBC is heavily worked into the story too. Believe it or not, this improbable volume works. In short, Lewis gave several sets of talks on the BBC during the worst of the war in England that captured the attention of listeners at a time when religious broadcasting as a whole fell on bad times. In no time at all, Lewis had more correspondence than he could handle. Here were writings (broadcasts) that went beyond the trivial or any of the hokum that was simply insufficient in the carnage of war. It resonated in a time of great need. Beyond the confluence of factors that made Mere Christianity so influential, this volume works on the level of biography as well. There is the war, its agonies, and impact on lives that is well described. Then there is C.S. Lewis the man: his industrious output, his tenderness, his family issues, and his humility. You like him better, even if, as me, he has a few beliefs you could not follow. This book is a pleasant, worthwhile read! em>I received this book free from the publisher. I was not required to write a positive review. The opinions I have expressed are my own. I am disclosing this in accordance with the Federal Trade Commission’s 16 CFR, Part 255. Do you have any idea how to handle failure in the ministry? Do you have a “theology of failure”? Or a real biblical approach to combat feelings of failure? Are you aware that most every one in ministry struggles with feelings of failure? The air needs cleared, so enter this fine volume by Mr. Briggs and published by IVP. In some cases we are set up to fail and travail over it. Conferences often parade “successful” pastors before us that serve to show how we haven’t arrived rather than offering real encouragement. We are always looking for the next great program as the messiah for our ministries. Mr. Briggs wrote from brokenness. On the track to success, it all blew up in his face. In his own painful, ugly journey he finally reached the place where he wanted to help us in ours. He began the improbable Epic Fail Pastors Conference, and strangely enough, it was wildly successful. From those gatherings of many other broken pastors, he learned even more and shares it with us. We must learn, he says, to preach the same grace to ourselves that we preach to others. We pastors live with a nagging fear of failure. Though it is often a cultural deviation, we all know it is true. Sometimes this fuels a desire for a larger ministry that only stunts our current one. He quotes another and reminds us that “true freedom in Christ is when we have nothing to hide, nothing to lose, and nothing to prove.” Wow! There are many other wonderful parts of this book. Tracing the grieving process through pastoral failure was greatly enlightening. Explaining how ministry is a process and not a product was spot on. 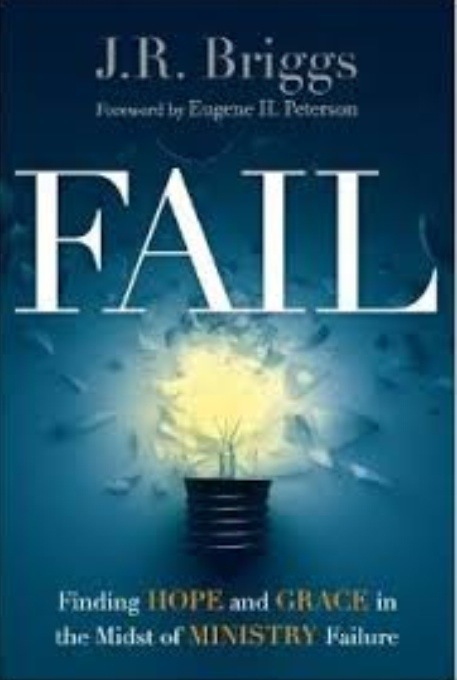 His solutions for going past failure end the book on a hopeful note. There were times I rolled my eyes on what he said, allowed, or did, but overall this is a keeper. Every pastor should make it a must-have in his library. We line them up like mannequins in a store window when it suits our purposes, and then promptly turn on them. What do I speak of? That old standby in arguments gone awry–straw men. They show up wherever arguments are made, they find prolific life in Christian circles, and we in the Independent Baptist world have dolled up several in their Sunday best. One of the most horrid that retains life after many years when the shirt is still but stuffed with straw is the tale that John MacArthur believes the Blood of Christ is of no effect. I can’t tell you how many times I have had it quoted as fact, though I never once was provided with documentation. I did come across a few dubious articles where a few obscure quotes went a long way, but no proof. Then I stumbled over an article written by MacArthur himself where he reiterated his belief on the subject. After reading that response you realize he was crucified by some before the evidence was even considered. The point is not the value of MacArthur’s teaching, or the lack thereof (you can make your own opinion there). No, the issue is that some could concoct such a story and get such great numbers of people to believe it and requote it. It is sad that such a farce could have him labeled a heretic and so many not even care enough to see if it were true. I actually know of several such straw man arguments that have been widely accepted. 1. Inability to handle the legitimate argument. When you have no good answer for your opponent’s good answer, and admitting defeat will never be a possibility for you, then coming up with some ugly charge to divert attention from your weak arguments is always a temptation. 2. A desire to tear down another voice so that only yours remains. If a radio teacher like MacArthur is enjoyed by some you preach to, could it be that tearing him down means you can have all the love to yourself? I fear this is often the issue. We can’t stop others from offering straw men arguments, but we are in control of our responses. 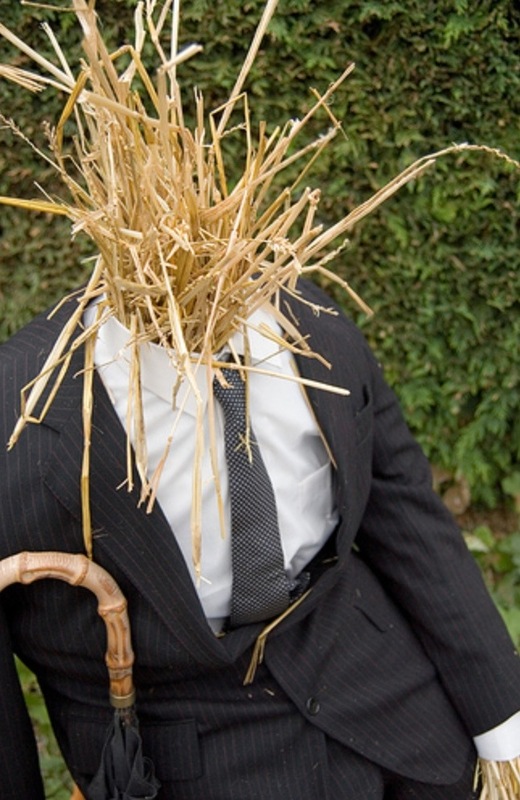 As one article said, “To be successful, a straw man argument requires that the audience be ignorant or uninformed of the original argument.” So they only work if we are ignorant! We, then, should be more thoughtful about accepting arguments without checking the facts. We have all done it before, but don’t you feel embarrassed when you figure it out? 2. They can not spread without our help. Were we to be more careful, these type of arguments would not thrive. In fact, it would throw the embarrassment back where it belongs–on the backs of the perpetrators of straw man arguments. Let’s stop crucifying those blindsided in a straw man attack. Instead let’s stop being gullible and value accuracy as a matter of integrity. Were we to do so, the real issues could be profitably discussed.